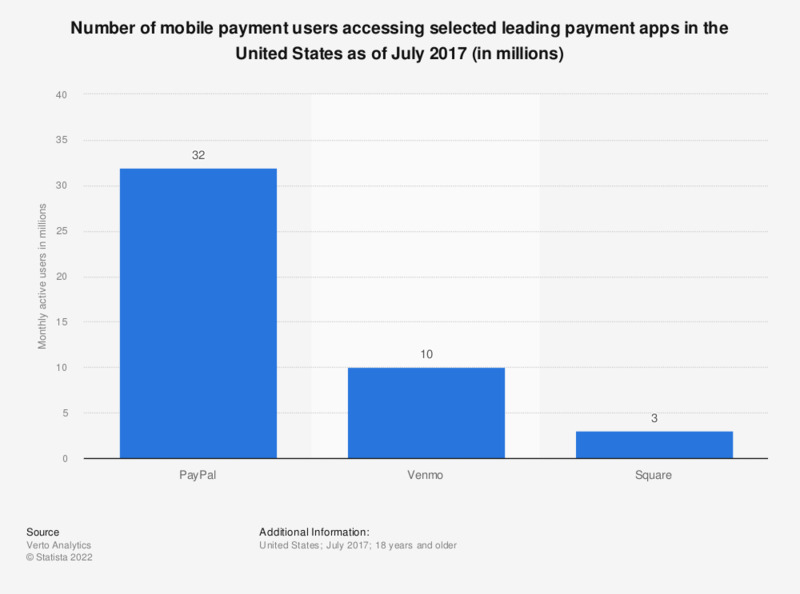 This statistic presents the mobile payment app audience size of selected mobile payment providers in the United States as of July 2017. During the measured period, it was found that PayPal's mobile app had 32 million monthly users, equivalent to a 14.9 percent reach. How often do you make a payment to another person using a peer-to-peer mobile or online application?